“Absolutely Anything” goes far out in the realm of outer space, where an Intergalactic Council, composed of a nasty bunch of alien creatures, intercept the Voyager space probe and look down on planet Earth. These cackling creatures have an appetite for destruction and believe that Earth and its inhabitants should be destroyed – and so, the fate of the world hangs in the balance. But before earth’s absolute destruction, these aliens have to follow what the Intergalactic Law states – that the inhabitants of any planet must be given the chance to prove themselves. One person or being is to be selected at random and granted exceptional powers. How they respond will dictate the planet’s future. 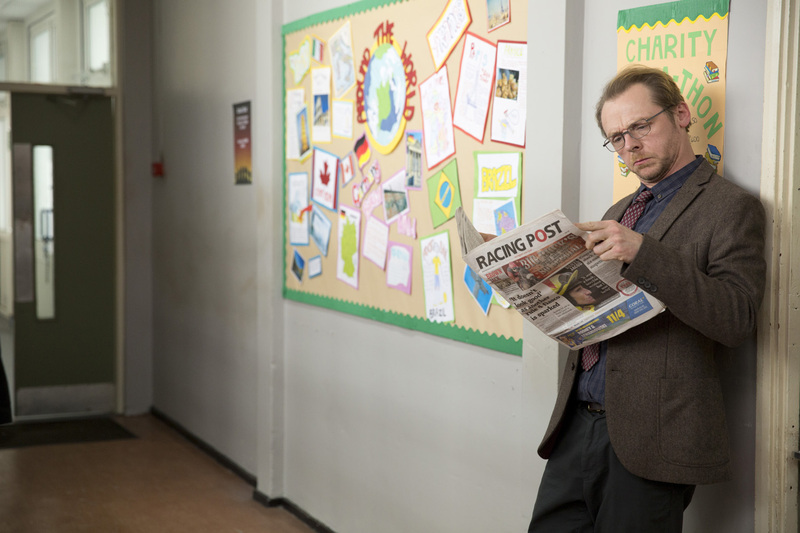 They eventually pick Neil Clarke (Simon Pegg), an unassuming teacher from North London, England, becomes that person who doesn’t have an idea that the world’s fate now depends on him. The other non-humans in the movie are, of course, the council of aliens who reside in deep space and decide on mankind’s future. Their individual designs came via production designer Jim Acheson and his team. “He was so great,” says Terry Jones of Acheson, “the way he and his visual artist envisioned them and brought the aliens to life. There is Janet, voiced by Michael Palin, while John Cleese’s alien is like a stern housemaster. Then I play Kylie. I don’t know what Kylie is. The nastiest alien, played by Gilliam, is a tiny little chap, while the chief alien, played by Cleese, is the biggest. “They all sit on the same-sized chairs so there is a problem with scale, which we purposely develop,” Acheson says. “They are really ugly, nasty creatures and we also wanted to play with the idea that these aliens came from different galaxies. “Absolutely Anything” opens this August 12 from Axinite Digicinema in theatres nationwide.